As I mentioned in my previous posts on him, I consider Al Williamson one of the greats of 20th Century comics art, and an important bridge between the traditions of the newspaper adventure strips of the first half of the century and the “Silver Age” comic books of the second. Williamson carried forward the excellence in draftsmanship, composition and superb ink rendering that was prominent in the best newspaper adventure comics and blended it with the dynamism of superhero comics. His fluid, heroic figures look like actual human beings in action as opposed to the cartoonish musclebound exaggeration that often characterized much of the latter genre. Flesk Publications, a small independent publisher who I admire both for their beautiful production values and for their dedication to bringing light to under-appreciated illustrators and comics artists, has published the second volume of their series of preliminary art, sketches, layouts and personal drawings from Williamson’s own collection, Al Williamson Archives: Volume 2. This is as wonderfully realized as the first volume, which I reviewed here. In each volume, the publisher has freely wandered across the length of Williamson’s long and prolific career, with pieces from all phases of his work, various genres and a tasty variety of types of drawings and sketches, from mere doodles to almost finished drawings. Most publishers would not have been able to resist the temptation to “clean up” drawings like this, forcing high contrast to eliminate yellowed paper and sketchy lines and make them look more like finished pieces. Flesk has done just the opposite, carefully shooting the artwork to preserve as much as possible its actual appearance — yellowed paper, tape, white-out and fine sketch lines intact; even going so far as to lay sheets of translucent tracing paper, on which Wiliamson, like many comics artists, often worked out his compositions, with edges overlapping so we can see the sheets for what they are. This is as close as we can get to opening Williamson’s flat files and holding the drawings in our own hands, and it’s a treasure trove of instruction for those interested in the working methods of a master comics artist, as well as anyone interested in pencil and ink action figure drawing. Al Williamson Archives: Volume 2 is $20 U.S.D. and can be ordered directly from the Flesk Publications Store. René Magritte: The Pleasure Principle is the title of a major exhibition of the Surrealist artist’s work at the Tate Liverpool that is on view until 16 October 2011. Other than the image at top, I have no idea if the images above are included in the show; I’ll just take any excuse to post his paintings because I love the way they make your brain wiggle and woggle and go all flippy-flop in its brain pan. For more, including links to online image resources, see my previous post on René Magritte. Link: René Magritte: The Pleasure Principle Tate Liverpool to 16 October 2011. 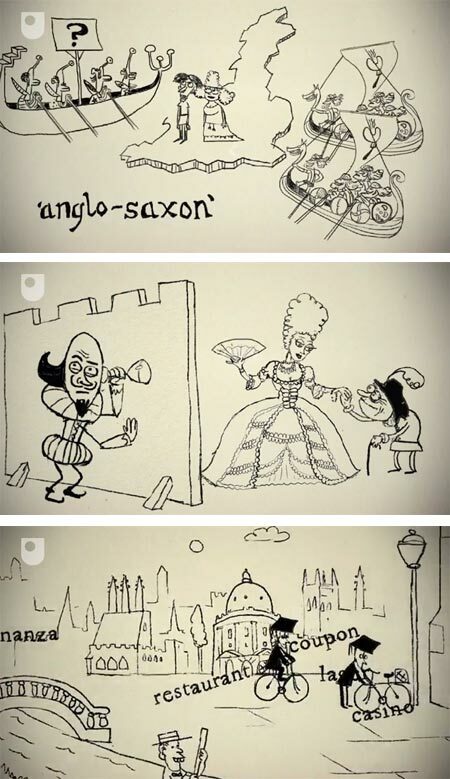 The History of English is a series of 10 very short animated segments, totaling about 10 minutes, from The Open University that chronicle the origins of the language, its growth and expansion into the bazillion word behemoth we know and love today. Narrated in a nicely cheeky tone, it’s amusing as well as informative. California painter David Ligare describes himself as a “Post-Modern, Neo-Classical American Artist” (I love that term, “Post-Modern”), and draws much of his inspiration from Classical Greek culture, rather than from the Renaissance based revival of those cultural influences. You can see that influence in his landscapes and figurative work. I’m particularly fascinated by his beautiful still life paintings, in which the arrangements are set up in an outdoor box, a kind of polar opposite of a traditional still life “shadow box”, and painted as bathed in brilliant California sunlight. There is a gallery of work on his website, along with an essay on his influences and approach, and a brief interview. Ligare received his formal training at the Art Center College of Design in Pasadena, and his work is in the collections of a number of museums, including The Museum of Modern Art in New York, The Department of Drawings and Prints at the Uffizi Gallery in Florence, the De young Museum in San Francisco and the Wadsworth Athenaeum in Hartford, CT. There is an essay on Ligare by curator Patricia Junker on TFAOI and an informative post on eklektx. In addition to the gallery on his website, you can get a quick overview of his work in posts on Best Bookmarks and BOOOOOOOOM! The interactive Reykjavík Center Map, which at first glance might appear to be a Google Earth style map with computer modeled buildings in isometric perspective, is in fact a hand-illustrated image, apparently in pen and ink and watercolor. I can’t find specific credits for the art, but one of the team who worked on the map said it took over two years and 3,000 hours to create. Beautifully done, with wonderful little touches of detail and local texture, the map can be zoomed in on to appreciate the drawings. Oh yes, you can also use it to find your way around the center of Iceland’s capital, along with places to eat, sites to visit and stores to buy your Sugarcubes CDs. As those of us who haunt museums are keenly aware, but the general public is probably not, most of the world’s artworks are not on view. Some, of course, are in private collections, visible to the public only if on loan to museums or in publications. A great percentage, however, is in museum storage. Another significant percentage actually is on view, but not in a way to encourage access by the general public; many publicly owned works hang in government buildings, schools and offices. In one nation, at least, there is an attempt to bring much of this work to light. A new initiative by the BBC and the Public Catalogue Foundation aims to make most of the publicly owned work in the UK visible online; seeking to digitize an estimated 200,000 works and make them available on a newly launched website called Your Paintings. The site launched with an impressive 62,000 paintings already digitized and ready to search. The collection is not limited to British artists, simply art that is in British public collections. There is a general search on the home page labeled “Find a Painting”. 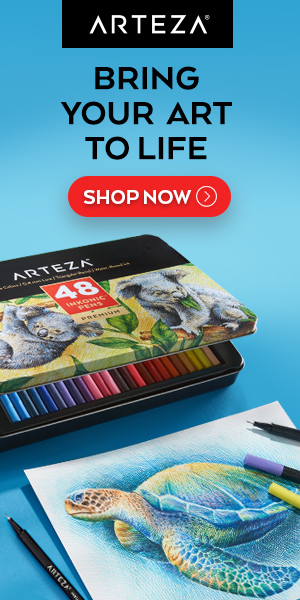 In the top navigation are tabs for Paintings, Artists and Galleries and Collections, within which you can browse. The Artists page gives an initial selection of popular artists, perhaps giving you the mistaken impression that these are then only ones available, but use the alphabetical selection at the top to narrow the selection by artist’s surname, and the numbered links below the thumbnails to browse further. There are plenty of other features to the site, with background information, efforts to ask the public to help tag the content of the paintings for searches, guided tours by various individuals, and more. I’ll issue my customary major time-sink warning.